Be the first to share your favorite memory, photo or story of Jarome. This memorial page is dedicated for family, friends and future generations to celebrate the life of their loved one. Jarome Barnes, 70, of Gulfport, MS, passed away on Sunday, November 18, 2018 at his home. Jarome was born on October 16, 1948 in Pascagoula, MS. Jarome loved his country and was very patriotic. He served and retired from the United States Navy after 23 years of service, and served with the White House Communications Agency under Presidents Ronald Reagan. 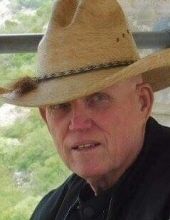 He worked as a Registered Nurse for 20 years, was a member of Southern Cruisers Riding Club and the Patriot Guard, and served in the Jackson County Sheriff’s Department Mounted Patrol and Auxiliary. Jarome was an avid outdoorsman and fisherman, a Foodie, who enjoyed eating while traveling all over the world, participating in firearm competitions, and photography. He loved life, but most of all he loved his family. Jarome was preceded in death by his father, Eddie Barnes. He is survived by his loving wife, Jan Barnes; children, Stephanie (Timothy) Huff, Carla (Jason Rife) Nielsen, Jodi (Chris) Nowell, and Jessica (Michael) Ross; mother, Louise (Don) Hansen; grandchildren, Ariana, Joshua, Cody, Preston, Hadassah, Christopher, Zachary, Bethany, and Alethea, 5 great-grandchildren; siblings, Michael (Louise) Barnes, Brenda (Steve) Little, Jenni (Keith) Johnson, Christi (Ray) Bates, and John (Valorie) Barnes; along with numerous aunts, uncles, nieces, nephews, cousins, and friends. The visitation for Jarome will be held on Wednesday, November 21, 2018 from 1:00 p.m. until 3:00 p.m. at Heritage Funeral Home in Escatawpa, MS. A Celebration of Life service will follow in the funeral home chapel beginning at 3:00 p.m. with Bro. Chris Nowell officiating. In lieu of flowers, the family requests that donations be made to St. Jude Children’s Research Hospital, 501 St. Jude Place, Memphis, TN 38105, Mr. Barnes’ memory. To send flowers or a remembrance gift to the family of Jarome Lewis Barnes, please visit our Tribute Store. "Email Address" would like to share the life celebration of Jarome Lewis Barnes. Click on the "link" to go to share a favorite memory or leave a condolence message for the family.